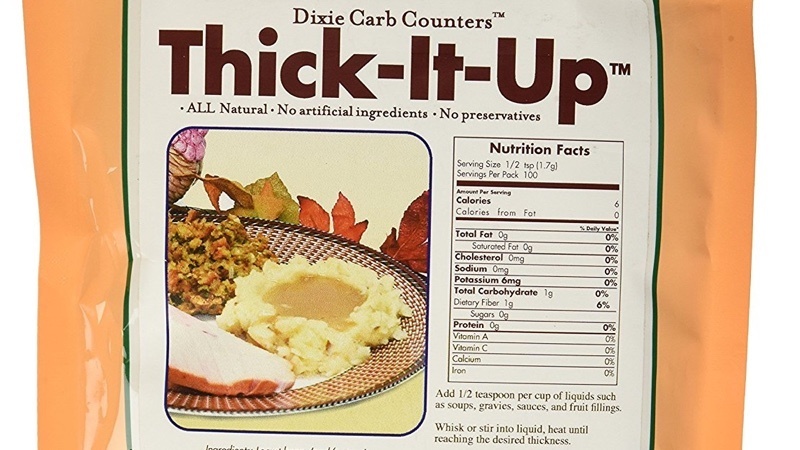 Sift or whisk Dixie Carb Counters Thick It Up Low-Carb Thickener into hot water or chicken broth or beef broth to thicken up your favorite recipes. 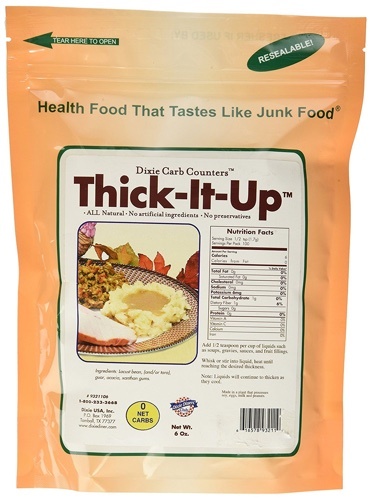 This low-carb thickener is all-natural, with no artificial ingredients, and no preservatives. Ingredients: Locust bean, (and/or tara), guar, acacia, xathan gums.